I received a SleepSack in exchange for my review. This post may contain affiliate links. 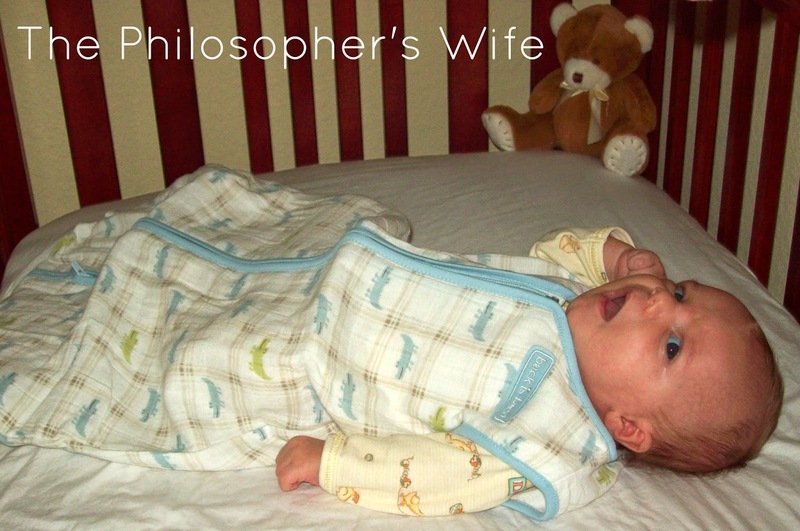 The Halo SleepSack is a wearable blanket for babies. 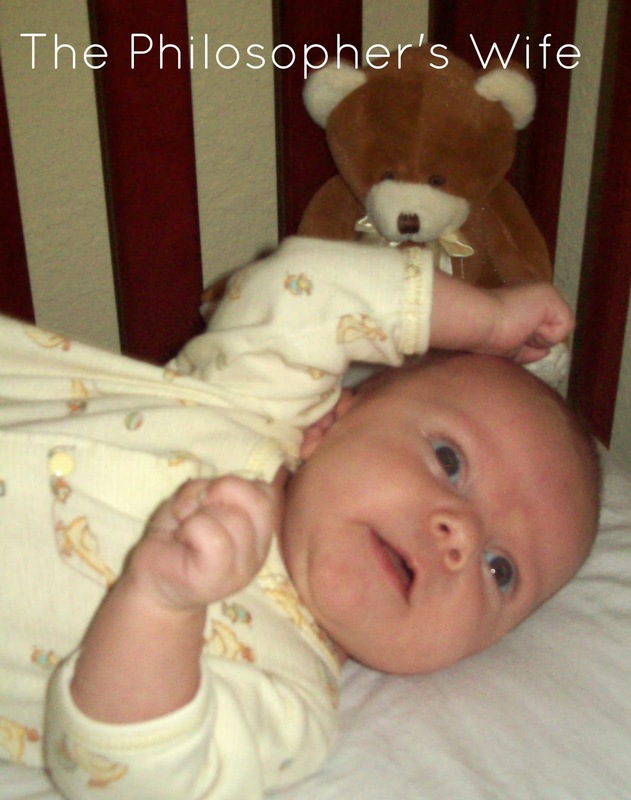 It was developed by Bill Schmid, who tragically lost his daughter to SIDS. I received a size small, which is for 10 to 18 pounds. This is perfect for Dominic for this summer! Arm and neck opening sized for a safer fit. Use over regular sleepwear instead of loose blankets. Inverted zipper for easy diaper changes. Won't pinch baby's chin. Sleeveless to help reduce risk of overheating. Unique, roomy sack design recognized by the International Hip Dysplasia Institute as "hip healthy". Here's Dominic in a regular blanket. He's a master escape artist. 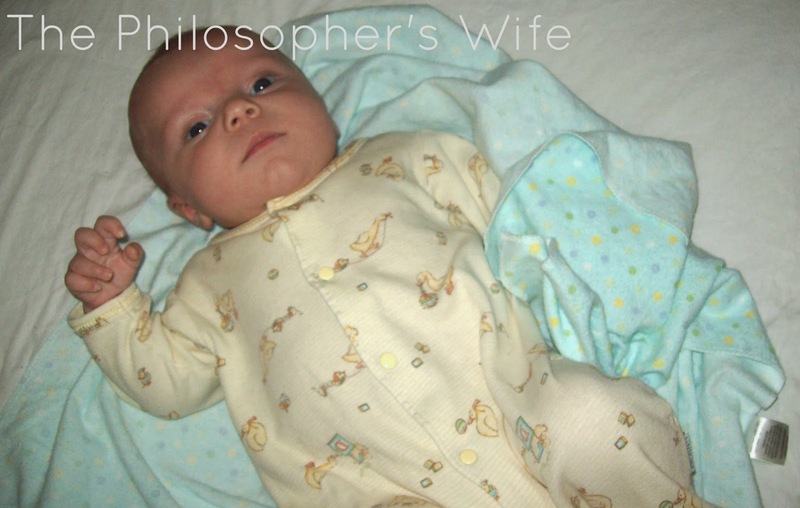 As a newborn he loved being swaddled completely, but after a few weeks he really wanted his arms to be free. Here he is with the SleepSack. He can have his arms free, which he loves, and still be just the right amount of cozy and safe. The SleepSack that I received to review has happy little blue and green alligators. Aren't they cute? I just have to finish with another picture of my adorable model, who (along with mommy) gives this product a thumbs up! 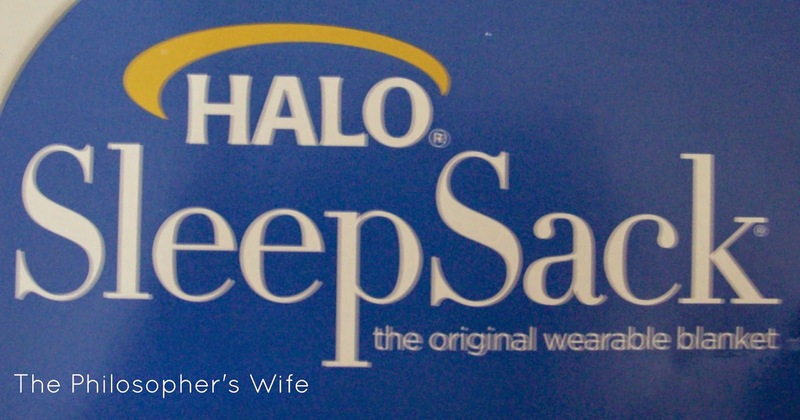 You can purchase your own HALO SleepSack at a variety of retailers including Amazon. All opinions are 100% mine and were not influenced in any way. I received a product in exchange for this review. Facebook, Pinterest, Google, Twitter, and any and all other social media are not affiliated with this review. This disclosure is done in accordance with the Federal Trade Commission 10 CFR, Part 255 Guides Concerning the use of Endorsements and Testimonials in Advertising. I've always loved the idea of the sleep sacks. I don't have any little infants now, but I think I would try this with the next one (if we ever have more)! I see Halo Sleep Sacks around a lot, and I've always wondered about them! 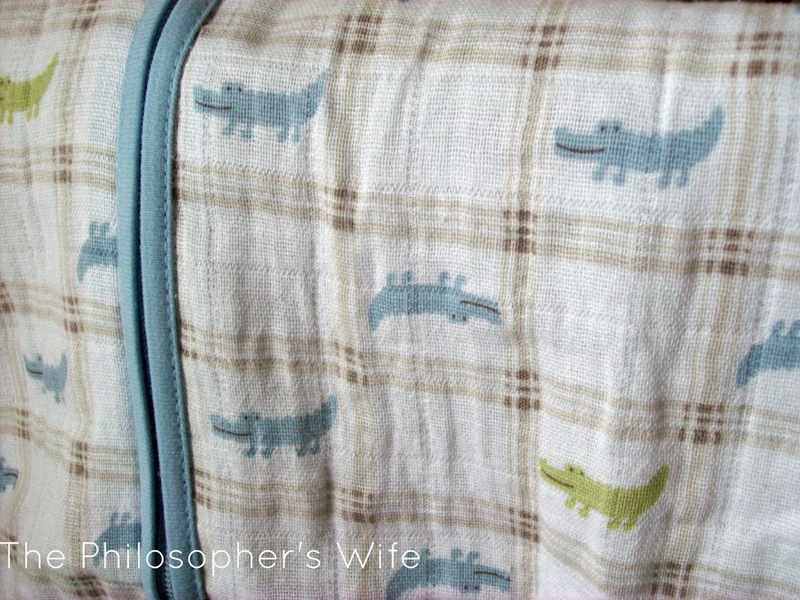 I love the print---the alligators are adorable. Dominic is adorable, too! 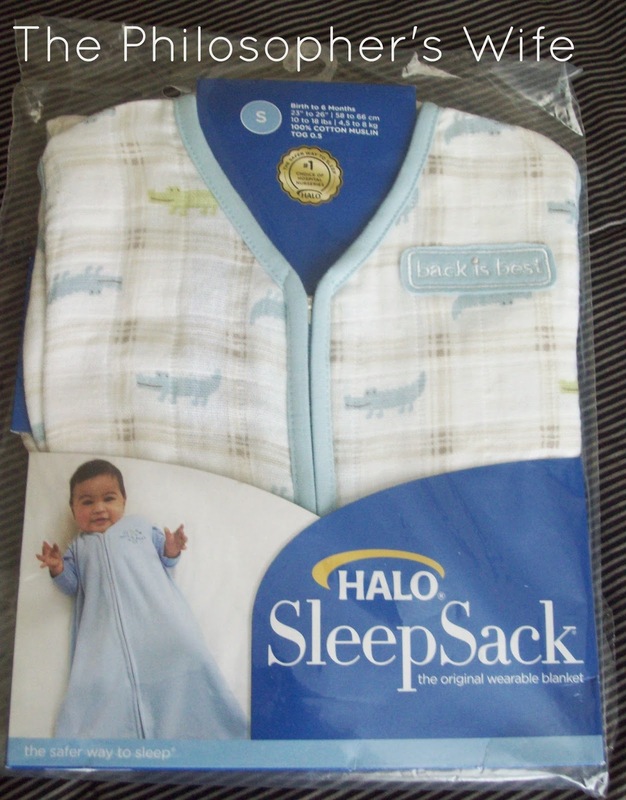 I didn't know that Halo was the original Sleep Sack. Thanks for sharing all this info!